Support younger contestants to vote out old politicians, Olaniyan urges Nigerians – Royal Times of Nigeria. 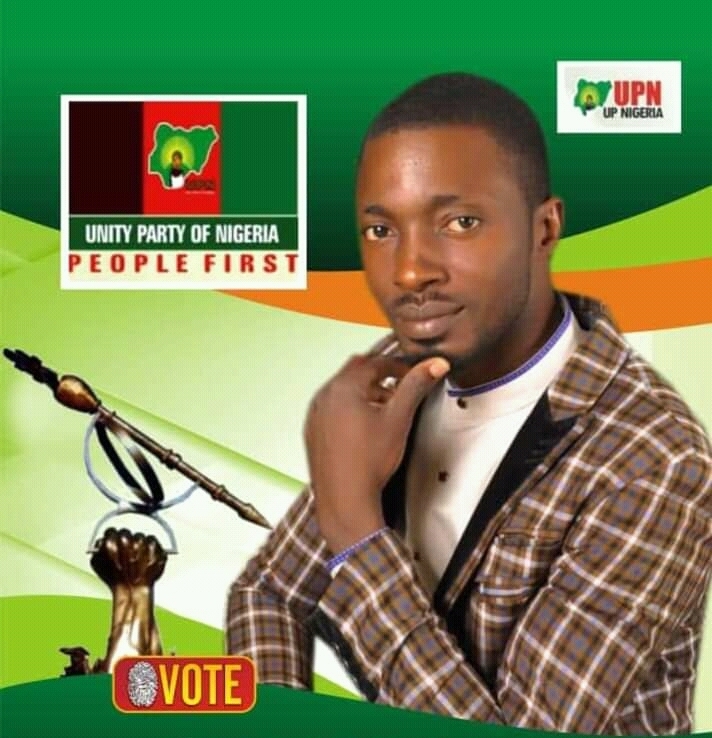 The candidate of the Unity Party of Nigeria, UPN, for Ekiti, Irepodun, Isin, Oke-Ero Federal Constituency, Olaniyan Taiye Ayorinde, has stressed the need for old politicians to vacate the political space for younger generation in possession of both physical and mental alertness to tackle Nigeria’s perennial challenges. He also expressed worry that the aged politicians who have chosen to remain in power lack the twenty-first century ideas to transform the nation and must be shown the way out. Olaniyan who spoke to newsmen after the party’s meeting at the UPN secretariat in Omu-aran, his home town, said his drive to contest as a lawmaker is in a bid to guarantee purposeful representation for his constituency. He also vowed to change the political narrative, enhance inclusiveness and ensure that the people get realistic dividends of democracy. According to him, the trend of political backwardness will continue except the younger generation of Nigerians take up the challenge to vie for leadership positions. He however added that both the old and young need to support the young candidates not minding the influence of their political party or financial status. He charged people of Kwara state and Nigeria at large to vote for UPN for a transparent, accountable and corruption free government. Also speaking, Olaniyan’s Campaign Director-General, Victor Akinmoju expressed optimism in UPN’s chances of winning in the National Assembly election. Akinmoju noted that the people have shown the will to embrace realistic change unlike the one been brandished by the old politicians with no transformative agenda. Olaniyan Taiye Ayorinde, a well-known contractor, is the son of the late Colonel Joseph Tinuoye Olaniyan, (rtd), the Ejemu of Omuaran.